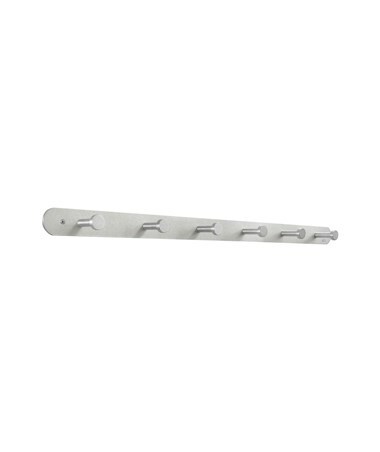 With its minimalistic design and sturdy build, the Safco 6-Hook Nail Head Coat Rack is a great tool for hanging coats and other garments. 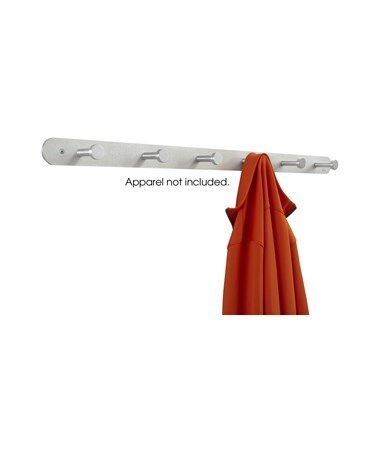 It features six oversized circular hooks that protect and properly hold the apparels. Each hook can hold up to 10 pounds of weight. This rack is easy to mount on any wall with the mounting hardware that is included. It is made of aluminum with a silver-colored satin aluminum finish. It is safe for indoor use as certified by GREENGUARD. Each set comes with six racks.